As many of you will already be aware, it’s now commonplace for developers and publishers to hold reviews of their games from publishing until the day of release. Whether this is an attempt to prevent spoilers, a lack of confidence in their game, or another reason we aren’t aware of, an early review tends to come as a surprise and a supreme show of confidence in the quality of a title. Microsoft and Playground Games previously demonstrated that confidence during the release of Forza Horizon 2, with reviews coming out a week before release and a lengthy demo that personally sold me on the game. 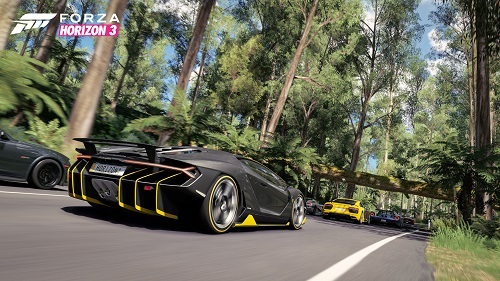 With Forza Horizon 3 they are again showing their hand early, with one of the largest demos I have ever seen, and again encouraging reviews well before release. After hours of racing across Playground Games’ vision of Australia, I can definitively say that their confidence is well founded. 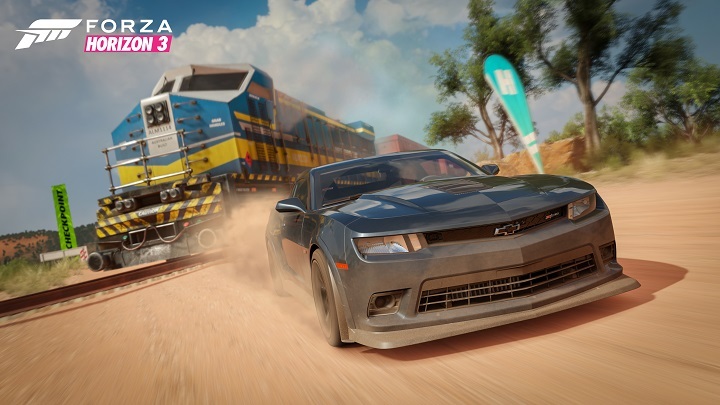 For the uninitiated, the Forza Horizon series follows the fictitious Horizon Festival as it travels the world, bringing its love of racing and great music to the masses. This year, the Horizon Festival has seen fit to travel to our own backyard, taking place in a fictional amalgamation of some distinctly Australian environments. From the Yarra Valley to Surfers Paradise, or Byron Bay to a fictional Outback, there are a wide range of terrains to speed across and a myriad of sights to fly past at breakneck speed. However, no matter how fast you might be going, it’s impossible not to notice just how beautiful Playground Games’ Australia really is. At night the lights from Surfers Paradise can be seen from the distance, standing out starkly again the dark abyss of the night, and during the day light filters through the trees in the rainforest. The red sands and dunes of the Outback stand in contrast to the brilliantly blue skies, and the rivers (which you can now drive through) of the rainforest and Yarra Valley are gorgeous. While everything is amazing to look at in Forza Horizon 3, the most impressive part of its Australia is just how realistic and beautiful the skies are. Developers from Playground Games camped out in a field during a whole Australian summer, which from personal experience would not have been pleasant, taking photographs of the skies as clouds passed, storms rolled in and rain came thundering down. The incredible skies, combined with the gorgeous environments, made the world of Forza Horizon 3 both exhilarating and utterly engrossing. 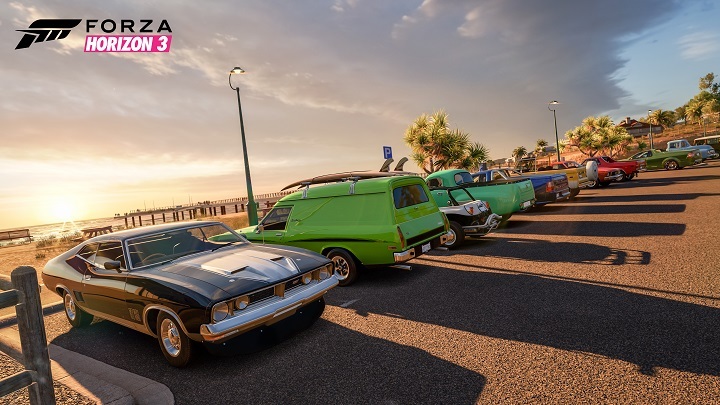 The Australian setting isn’t the only thing that’s changed with Forza Horizon 3, with you now running the Horizon Festival instead of just being a willing participant. Instead of racing to progress through championships, you now race and perform PR stunts to win over the Australian public and generate more fans for the festival. As your fanbase grows, so does the Horizon Festival, including the opening of brand new Festival hubs and expanding existing ones. The order you open each of the Festival hubs is up to you, as is the decision on what hubs to expand. Want more races that take place on dirt roads and sand? Open and expand the Outback hub. Got a hankering for some street racing? Go for Surfers Paradise and its city environment. Your power doesn’t end here though, as you can also create your own custom Bucket List events and can even alter races to feature the exact types of cars and conditions you want. The level of customisation is amazing, allowing you to completely tailor your Horizon Festival experience to suit your needs perfectly. Want to spend the entire game racing around Australia in a 2003 Subaru WRX Impreza? Go for it. What about completing a race around dirt tracks in a car that will spin out at the slightest provocation, like a Koenigsegg One? You might be an absolute madman, but you definitely can! You can also share every single one of your fabulous franken-creations with your friends and the world at large, allowing everyone to see just how weird and wonderful your racing preferences are. 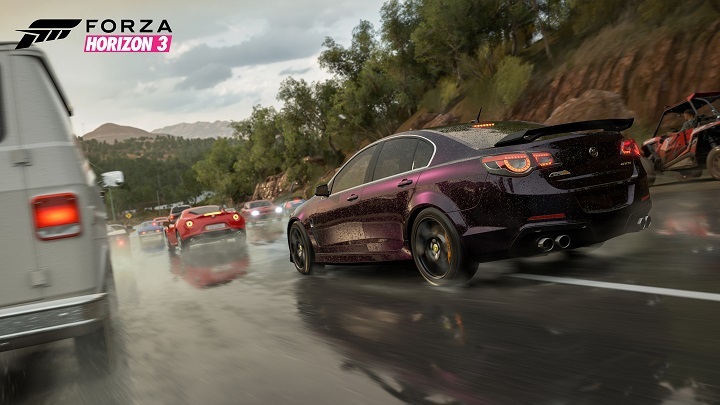 There haven’t been too many changes in the actual races you will enter in Forza Horizon 3, with the usual mixture of circuit races and point to point sprints. While the types of races haven’t necessarily changed, the introduction of PR events has brought a new element that wasn’t in previous Forza Horizon titles. The majority of these PR events are actually things you’ve already done before, like speed traps and zones, but they now have a weight and importance to your campaign that wasn’t there before. Now, they are unlocked on your map as new events, just like your races will and they bring in fans to help expand your festival. There are also two new PR events that will bring a lot of joy to people: Drift Zones and Danger Jumps. Danger jumps are exactly what you would expect, ramps set up for you to launch yourself off in an attempt to learn to fly. Drift zones are something that fans have wanted since the first Forza Horizon title was released, and something they were disappointed to not have in Forza Horizon 2. In this instance, they are windy sections of road where you need to drift around corners generating the highest score possible while also staying on the road. 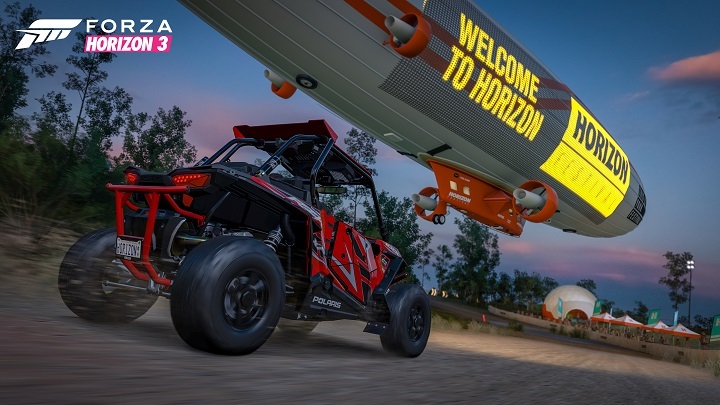 Bucket List events have also seen a slight change in Forza Horizon 3, with more events focusing on maintaining speed for epic jumps or chaining together drifts and jumps to get a massive skill score, as opposed to being solely focused on quick races across the map. The Horizon Festival’s signature Showcase Events are back as well, with another series of utterly exhilarating and unconventional races specifically geared to get your heart pumping and leave you in awe at the end. Every Showcase event I took part in left me gasping at the finish line, but none hit me quite the same as the awe inspiring race against 3 fighter jets that took place in Forza Horizon 2. As you cruise around the largest map in Forza Horizon’s relatively short history, race through the myriad circuits and sprints, and drift around corners, you may notice that the way cars control is a little bit different than the past. Cars now have a bit more weight to them than in previous Forza Horizon games, with movements being more emphatic and collisions coming with more heft. This leads to the movement of your cars feeling a bit more deliberate than in Forza Horizon 2, where the controls could feel slightly floaty at times. The controls still straddle the line between the more realistic controls of the main Forza Motorsport series and the arcade-y controls of Project Gotham Racing, but they definitely feel a bit tighter than the previous Horizon games. The range of music in the game is also just as impressive as before, with a myriad of different radio stations that you gradually unlock as you progress and expand your festival. The only negative here is that after the announcement that Microsoft’s Groove Music streaming service will be a radio station in the game, it’s actually locked away and not available to unlock for at least the first few hours of the game. Locking this away, even if it’s only for a relatively short period of time, makes absolutely no sense to me after it was announced as a massive win for the game. The other interesting decision is the introduction of some additional paid transactions you can make within the game. These include the purchase of a treasure map which reveals the locations of every bonus board and barn car on the map and a pack that unlocks every unlockable car horn instantaneously. Additional transactions like these don’t impact the experience of a person that doesn’t purchase them and they are billed as convenience items that are there to aid people who may have some extra money, but not enough time to search for each individual item. I’ve always felt somewhat uncomfortable with microtransactions like this, and this implementation evokes those same uncomfortable feelings. Balancing those negatives out, there are a few more touches that Playground Games have brought in to liven the experience up. One of these is the ability to form convoys with your friend’s drivatars. While driving in free mode, drivatars around you will occasionally indicate that they are keen to join a convoy. You can encourage them by honking your horn, and just like that there is a row of cars behind you like imprinted ducklings. They are loyal and will follow you anywhere, up to and including into the river. No, I’m not joking and yes, it was amazing watching them flail about in the water. The other massive inclusion is the co-op campaign, with absolutely everything in the game being playable with up to 3 friends and all progress translating into your single player campaign. Overall, Playground Games have done what many may have felt was impossible: They have surpassed Forza Horizon 2 handily. Their version of Australia is absolutely stunning to drive through and cars control better than ever. There is more variety in the events you complete and the level of customisation given to you is immense, and the fact that you can do all of this in co-op with friends is awesome. The choice of music is just as awesome as previous games and the only negatives are questionable decisions around when Groove Music is unlocked and microtransactions that don’t actually impact the game at all. Forza Horizon 3 is an incredible game, and in my mind cements Forza Horizon as the current premier racing series.